Who said hot chocolate is only for kids? I don’t think so. 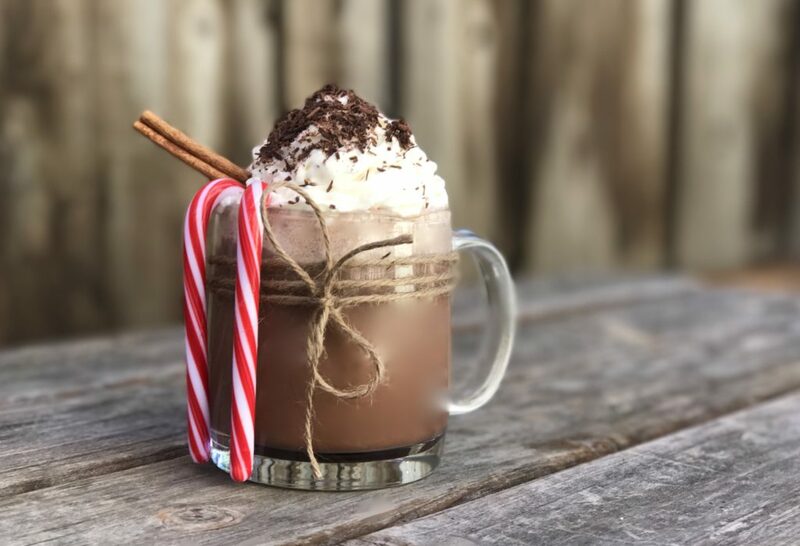 Also called hot cocoa or drinking chocolate, this warm sweet, beverage is synonymous with winter, holidays, skiing, skating and sledding. I’m from the East Coast, and I went to college in Wisconsin. Hot chocolate was a quintessential go-to beverage in sub-zero temperatures. Even at 45 years old, I’m not ready to give that treat up quite yet. Many believe that the Mayans created hot chocolate about 3000 years ago where a similar cocoa drink called “xocolat” was an essential part of Aztec culture. Xocolat was a mixture of ground cocoa seeds, water, cornmeal and chili peppers. The drink was mixed by pouring back and forth from two cups until a foamy top layer developed. This drink, however, was served cold, similar to a spicy, thick chocolate milk. Since that time, there have been a surprisingly number of changes to this somewhat simple drink. 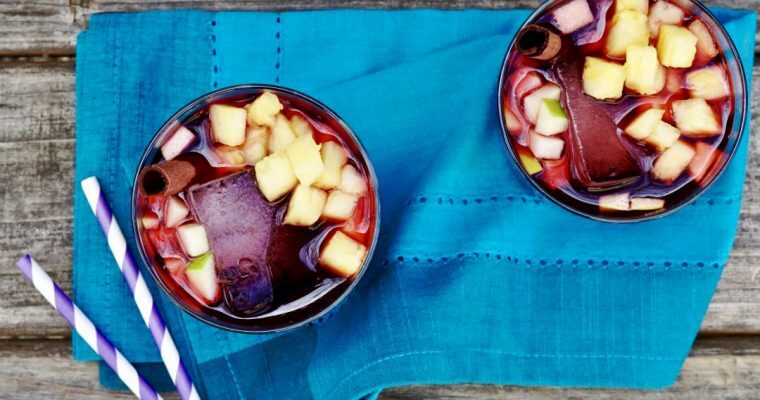 By the 1500’s, Spain had its own version: served hot and sweetened, and without the chili peppers. (Go Spain!) 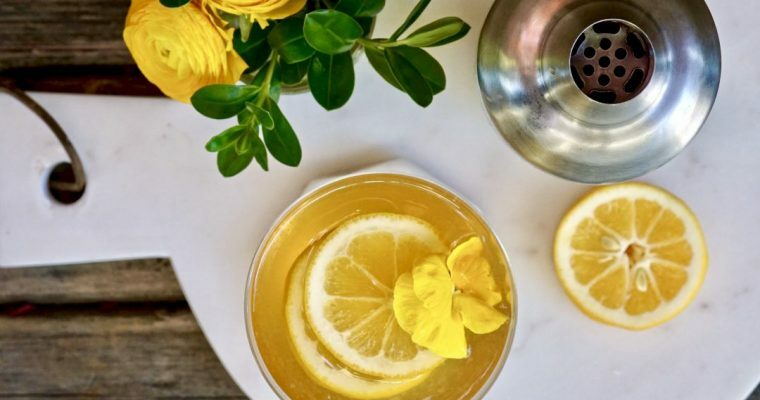 This specialty beverage did not make its way to England until the 1700s. 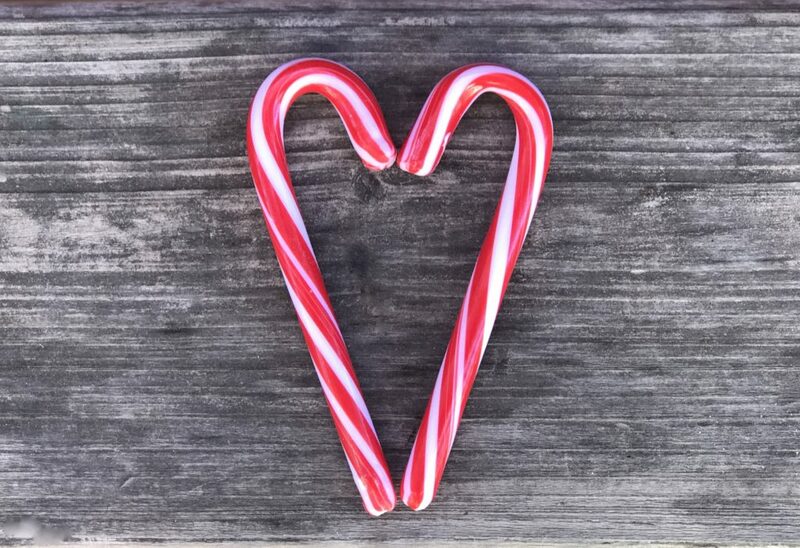 There, due to the expense of chocolate, it was considered a high-class specialty item. (Boo England!) The addition of milk to the recipe has been credited to the President of the Royal College of Physicians, Hans Sloane, who credited a recipe from Jamaica for that addition. In the US, hot chocolate got some additional tweaking. Americans opt for their hot chocolate much thinner and most commonly made with water and packets of chocolate powder, lacking the rich luster of the original concoction. That said, not all hot chocolate comes from a pouch. And you can make the real deal pretty easily. I also propose to add some Kahlua in this recipe, to keep this interesting for the grown-ups. 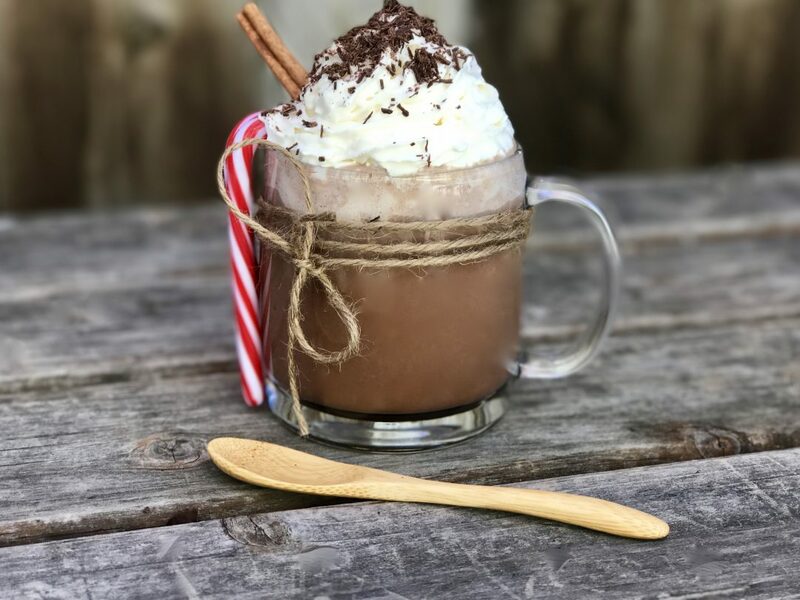 My recipe is a rather straightforward hot chocolate recipe, not too sweet or overly decadent, but it hits the right spot—especially when I just logged a full day skiing with my family. Step 1 In a medium size saucepan add the milk, heavy cream, sugar, cocoa powder, cinnamon and vanilla extract. Place over low heat and whisk gently. Step 2 When the mixture begins to steam and reaches a simmer, turn off the heat. Add the chopped chocolate and gently whisk the mixture until the chocolate has completely melted. Step 3 Stir in the Kahlua and the peppermint extract. Step 4 To serve, divide among two mugs, top with whipped cream and garnish with chocolate shavings and candy canes.